Hotel Berger is a house rich in tradition, in fact it has been owned by the same family for over 100 years. From mountain inn it has become today a three star hotel, all three well-deserved. You will be able to feel a pleasant atmosphere of well-being at this hotel. 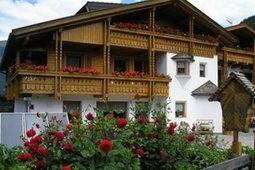 The Residence Friedheim is set in a sunny and peaceful spot surrounded by amazing mountains. Here you will enjoy a wonderful holiday in an ideal place for hiking. In winter there are many possibilities for an active holiday: alpine skiing, cross country skiing and snowboarding. At the B&B Niederbacher you can enjoy your vacation with all your senses. The house is located in a quiet, sunny position of Campo Tures. Here you will instantly feel the familiar atmosphere, friendly service and, last but not least, the cosy facilities. The Spanglwirt was restored with great care and commitment, with the will to maintain its historic character, that has always animated both the hotel and the restaurant. 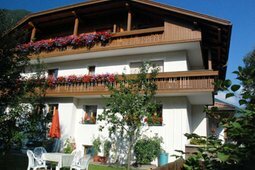 Small and comfortable Hotel Hellweger in Campo Tures. 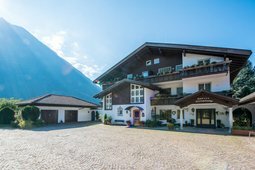 Tyrolean-style rooms, relaxing wellness area, a restaurant with local and Mediterranean specialties prepared with passion and accompanied by excellent wines. 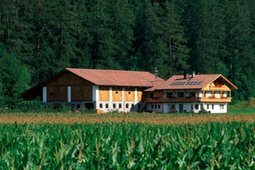 The farm Rieplechn is located in Ahornach at 1200 meters in a quiet and sunny position, surrounded by the meadows and woods of the Aurina Valley. It is the ideal place for a family holiday. Here hikers will find amazing views of the Zillertal Alps... a true paradise. 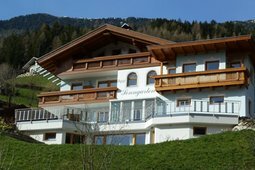 The Alpenblick Apartments, which have been renewed in 2015, are located on a sun-kissed slope in a place of soothing tranquility, relaxation and peace, far from the hustle and bustle. Live your dream holiday in the picturesque high-altitude landscape in the heart of the Alps. 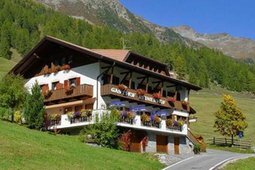 The Hotel Royal is located in Molini di Tures in the Valle Aurina (South Tyrol) in the heart of the Natural Park Rieserferner-Ahrn, on the sunny side of the Zillertal Alps. In this family-run hotel you will surely feel at ease. 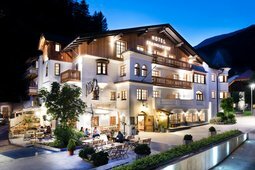 Inspired by Nature - Hotel Drumlerhof is situated in the centre of Campo Tures/Sand in Taufers, in the middle of wonderful mountains. Harmony with nature is very important in the Hotel Drumlerhof. Untreated wooden furniture in all rooms guarantee a relaxing holiday. 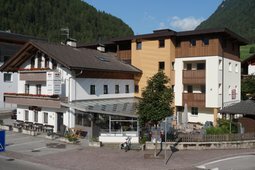 The house with its three apartments is located in a quiet and sunny position in the center of Campo Tures in the beautiful Ahrntal valley. Nearby the apartments you can find a supermarket and the bus station and the ski bus stop. The house has a garden and private parking. Are you looking for the perfect holiday location, where you can relax and experience lots of fun & action at the same time? Since we are all enthusiastic outdoor-sportsmen and women, we love to give you insider tips for exciting bike, hiking and ski tours. 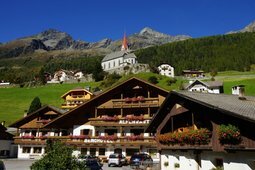 Spend your next holiday in a friendly and familiar atmosphere in the beautiful Tauferer Ahrntal valley in South Tyrol. Whether you choose summer or winter, Garni Zimmerhofer in Sand in Taufers offers you a unique experience on the background of the South Tyrolean mountains. 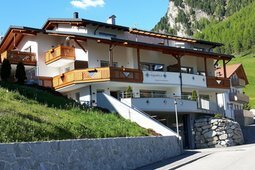 The family-run Hotel Alpenrast is located in Riva di Tures and is the perfect place for your holiday in the name of comfort and entertainment in the nature: Alpine meadows, forests and beautiful sceneries at 3,000 a.s.l. invite you to undertake exciting trips. At the Hotel Alte Mühle in Campo Tures you will feel immediately at home. Here you can forget the stress and enjoy your holidays. Pamper yourself! Your stay will be characterized by little attentions. Apartments Lockner offer a homely atmosphere, comfort and relax and many unforgettable holiday hours! Here you will find comfortable ambiances surrounded by nature for an ideal vacation in the mountains. Holiday fun at the Mesnerhof, recreation in the mountains and many happy moments with family and friends! 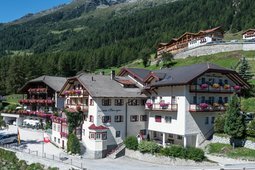 The Mesnerhof is located in the quiet and picturesque Valle Aurina, with panoramic views on the edge of the Rieserferner Ahr. 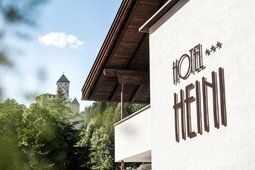 The Hotel Heini boasts a unique combination of tradition and modern style. Located in a central, yet quiet position in the town Campo Tures, it not only offers a breathtaking view of Castel Tures, but also pampers its guests with its hospitality and intimate, friendly atmosphere. The house is surrounded by meadows and located 2 km from Campo Tures. The farm is part of the mountain locality of Acereto, where the famous mountaineer Hans Kammerlander was born. The accommodation is simpy perfect for families with kids or for those looking for tranquillity. The Tures Valley is visited both in summer and winter by those looking for rest, entertainment and typical mountain-activities, outdoor and in contact with nature. 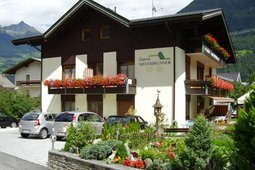 Garni Niederbrunner is situated in a quiet and central location in Campo Tures. Welcome to the Feldmilla Designhotel! This is the only design hotel in Campo Tures, Valle Aurina, Italy. Here you can find a smile, new friends, pure pleasure and design. The light-flooded rooms offer a simple elegance combining ecological values and sensitive aesthetic feeling. The luxury holiday apartments in Campo Tures can accommodate 2 - 6 people. 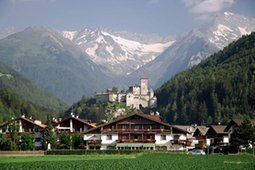 Thanks to their location on the 4th floor of the building Sandis, the apartments have a view over Campo Tures, Ahornach, to the Taufers Castle or the Tauferer Boden and to the Plan de Corones. 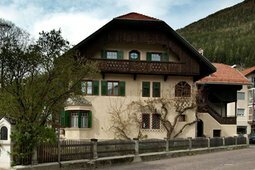 The family-run residence Roanerhof is located in Ahornach, a real mountain village, and is called by the native habitants "Fochina". The breathtaking mountain scenery of the Zillertal Alps, the Rieserfernergruppe and the Marmolada surround this idyllic spot. The farm Huberhof is located in an idyllic place, far away from the everyday hustle and bustle. Here clucking chickens, mooing cows and children have fun together in the outdoors. Here you will experience true holiday relaxation. 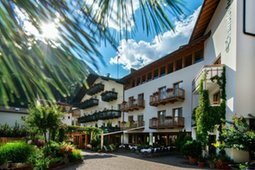 Welcome to your favorite Hotel in Campo Tures in South Tyrol! For over 25 years the hotel has offered a cosy atmosphere full of tradition and keeps up with all modern comfort. Here you can enjoy relaxing days in the heart of the beautiful mountain scenery of the Aurina Valley. Welcome to the farm Niederuntererhof in Riva di Tures, where you will feel relaxed fsince the very beginning of your holiday. The farm is surrounded by a beautiful mountain scenery and is located in a very quiet position at the entrance of Riva di Tures. 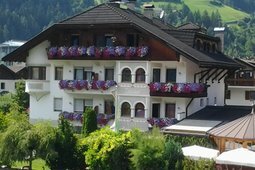 Enjoy the summer months in the Hotel Reinerhof in the Aurina Valley, in South Tyrol! Relax and recharge your batteries in the wonderful surroundings, your unforgettable holiday is guaranteed.The hotel is set right in the middle of 20 km of the best prepared slopes for all levels. 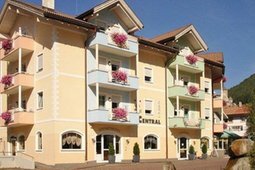 The apartments Forer are situated between Campo Tures and Molini di Tures (Valle Aurina), in the middle of green fields, in a quite position at the edge of a wood but only one kilometer from the centre of Campo Tures. For a quite and relaxing holiday with fun and entertainment. The 14 rustic apartments of Residence Pfeifhofer are equipped with colour TV, telephone and balcony. The Residence also features an elevator, a lawn and a playground for the children. 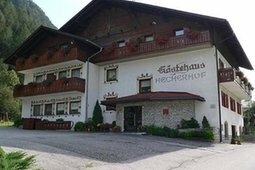 The Bacher family welcomes you at the Echerhof and invites you to enjoy an amazing holiday in the charming Valle Aurina, in South Tyrol. The hotel is located in Caminata, a small village with typical farmhouses and an astonishing panorama on the flat fields of Tures. The family farm is at the entrance of the small city of Riva di Tures, in a position which offers a wonderful view. The Feichterhof, which has belonged to the Niederwangers for centuries, is a special place, where you will feel yourself at home from the very moment you arrive. The apartments of Villa Frenes offer a unique and unforgettable stay in the beautiful Tures Valley. 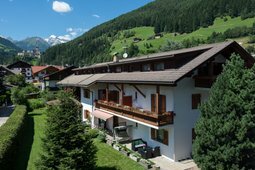 Villa Frenes is situated in the centre of Sand in Taufers/Campo Tures in a very quiet location, offering a private atmosphere. All local facilities can be reached by foot. Our centrally located apartments are the ideal starting point for discovering the Valli di Tures & Aurina with their special attractions and wonderful, characteristic mountain environment. Choose from the many opportunities we offer: seven comfortable apartments. 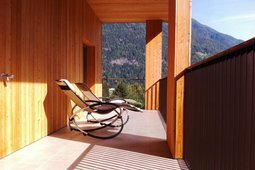 The apartments of the house Auer are located in a quiet and sunny position in the beautiful Valle Aurina. 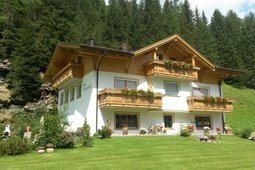 The house is situated in a strategic position for hiking excursions in summer and just a few kilometers from the ski slopes in winter. The farmhouse Auerhof offers two holiday apartments in the picturesque mountain landscape of the Val di Riva, with its ancestral and imposive peaks. Enjoy a relaxing holiday surroundead by meadows and woods, take a break from your daily and hectic routine. 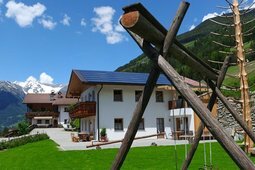 Leave everyday life behind and enjoy the beautiful mountains of South Tyrol in the Pension Hubertus, which offers all the amenities for a holiday without stress. Traditional and very comfortable, the house disposes of double rooms. If you are interested in to explore the hidden treasure of these beautiful mountains, the Pension Alpengruss invites you to discover the secrets of Sand in Taufers and of the little village Kematen. Garni Bergfried is set in Campo Tures, a crystal that collects the rays of the eternal glaciers of the Rieserfern and the Zillertal and reflects them in this house. It is ideal for hiking and walking through forests, farms and huts.